Wish you could keep your Christmas tree year-round? This tree keeps the spirit alive! Arizona Cypress are evergreen trees that are probably best known for their aromatic, icy blue foliage. Decorate one for the holidays, then plant it in the yard! They have a conical shape that can reach up to 40 feet tall and 30 feet wide over time. They are somewhat fast growing at about 15 inches per year. The more water they get, the faster they will grow. 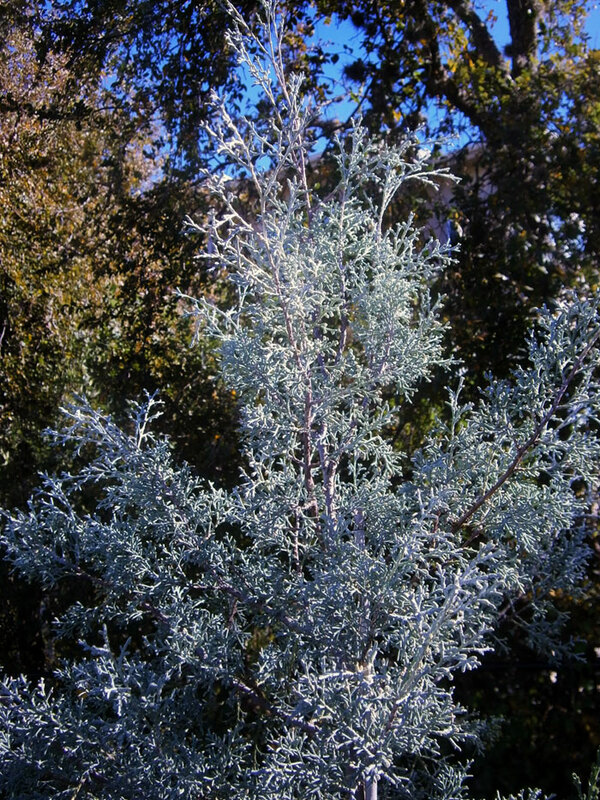 Arizona Cypress has soft blue foliage that keeps its color all year and the flaky bark is interesting with colors ranging from gray to reddish purple. The color of these trees is especially striking against your everyday bright green scenery. 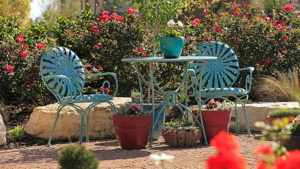 They look great as a single specimen or use them as a privacy screen when planting in multiples. These trees are also useful as a windbreak or noise barrier. As the name suggests, Arizona Cypress do well where heat and drought can be an issue. They will need water to get established and a good, deep soak now and again but areas that lack good drainage will be a problem. They don't like soggy feet! Plant your tree in full sun, or even in a partially shady spot. If you're looking for low maintenance, this is a great choice. Arizona Cypress has few pest and disease problems and does not require regular trimming unless you want to turn it into a hedge. Right now at The Garden Center, we have 5 and 15 gallon containers of Carolina Sapphire or Blue Ice Arizona Cypress available. Pick one up today!